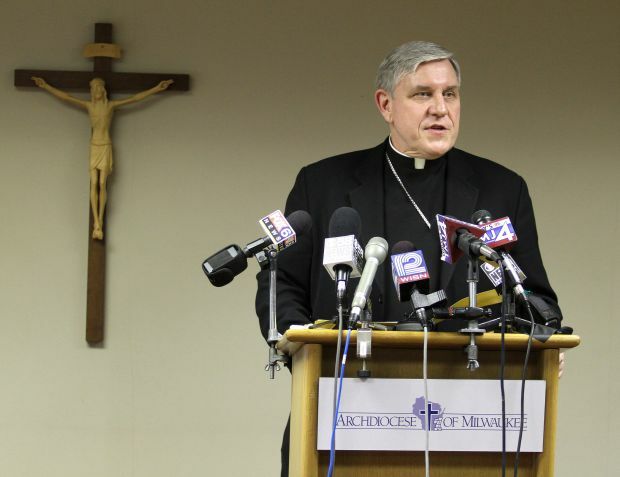 MILWAUKEE (CNS) — Attorneys for the Archdiocese of Milwaukee filed the archdiocese’s reorganization plan Feb. 12, with the U.S. Bankruptcy Court for the Eastern District of Wisconsin. The plan, which must be approved by Judge Susan V. Kelley, demonstrates a commitment by the archdiocese, according to the archbishop, to abuse survivors and to serving the people of God in southeastern Wisconsin. “It’s time for us to get back to what the church is supposed to be doing. It’s time for the archdiocese to return its focus to its ministry. Outreach to and the support of abuse survivors will always be part of that ministry,” he wrote. The plan includes a Lifetime Therapy Fund — something which he insisted, since the archdiocese filed for bankruptcy on Jan. 4, 2011, had to be a part of the plan for as long as abuse survivors need it. Archbishop Listecki wrote that to ensure the plan will work financially, the archdiocese is selling what few properties it owns and converting them to cash by using them as collateral in securing a loan from the Cemetery Perpetual Care Trust. “Instead of depending upon an unstable real estate market, we have been able to secure more for these properties by using them as collateral for this loan,” he wrote. “This puts an end to any speculation about the money that was always intended for cemetery perpetual care and avoids the expense of a lengthy court appeal, which could take another year or more. Even with insurance money and the loan, the archdiocese expects to come out of the Chapter 11 reorganization with a debt of $7 million, according to the archbishop, because of the expenses for which it is responsible. Archbishop Listecki expressed optimism about life in the post-bankruptcy archdiocese. “Because of the lessons we’ve learned, we will be a stronger, better church as we continue to proclaim the Gospel, and continue our works of education, service and charity,” he concluded.